Our affordable wedding photography services are available in San Diego, Los Angeles, Orange County, Riverside and San Bernardino. The main advantage of hiring the same company to do photography and videography is the amount of booking and planning time you'd be saving. Instead of dealing with two different vendors, you'll be working with one company. All your questions will be answered by the same person. Your wedding videographer and photographer and will always be on the same page and they won't be getting in each other's way during the actual wedding. And, of course, you'll be saving at least 10% if you book your photo package at the same time with your video package. Our photography website includes detailed information on our packages, prices, availability, reviews, photo albums and more. We understand that you probably don't deal with event photography very often and our main goal is to make it easy for you to understand your options and choose exactly what you need. Below you will find a brief overview of what we offer. 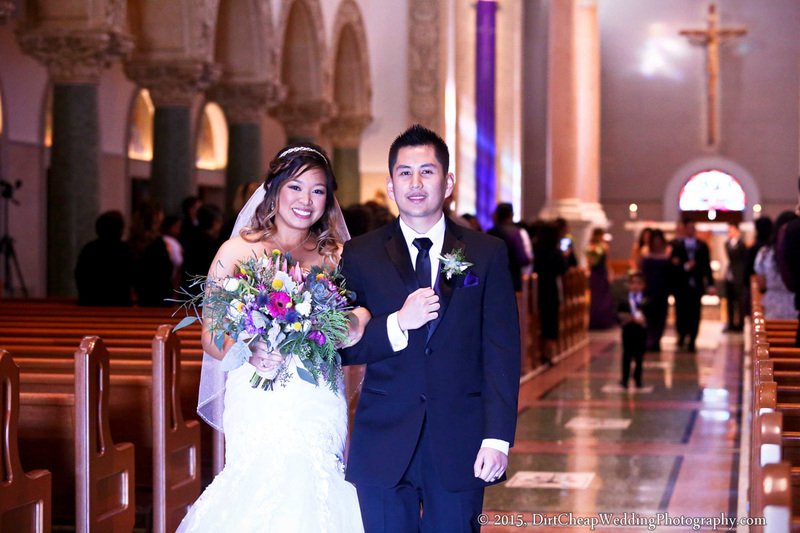 - Our photographer will capture your ceremony & reception with 1 camera. - Up to 3 hours of coverage. Each additional half-hour is $50. - Approximately 300-500 raw, unedited photos of you, your family members, friends, decorations, etc. - 1 USB flash drive with raw photos. - Optionally, you may add a 2nd photographer for only $100/hour. - Up to 5 hours of coverage. Each additional half-hour is $50..
- 200 lightly edited photos with adjusted brightness, contrast, exposure, cropped and retouched. - 1 USB flash drive with all the photos. - Up to 7 hours of coverage. Each additional half-hour is $50. - 400 lightly edited photos with adjusted brightness, contrast, exposure, cropped and retouched. If you would like to learn more about our wedding videography packages and prices, please click here.